This wine was nearly impossible to find any information on! What I think is it was a grower who decided to bottle some of his grapes and probably sold the rest to a negociant. 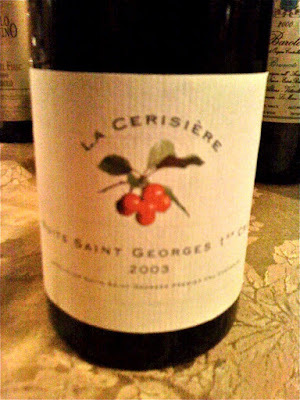 However, I did enjoy tasting a lesser known Burgundy and would love to find more wines like this. On the nose I found this wine to be very fruit forward with intense cherry notes. It does have a bit of leather, crushed stone, and perhaps a touch of a rustic soil character. A few friends that tasted it with me thought it was very "French" but I had to disagree. I've tasted a whole lot of Burgundy that shows much more "barnyard" character, while I thought this was a much more modern style.